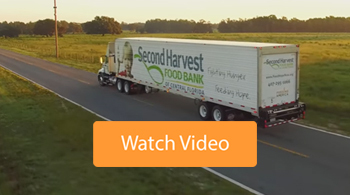 Last year, Second Harvest provided nearly 58 million meals to families, kids and seniors in Central Florida. Our distribution and community partners make it possible for us to get food to people that need it the most. Interested in learning about where our food comes from? Click here. 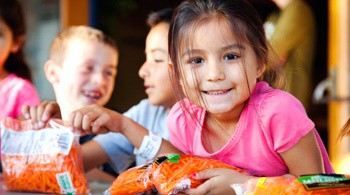 We partner with 550 feeding partners in Central Florida. 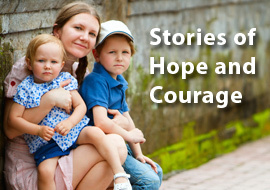 They include emergency food pantries, soup kitchens, shelters, senior centers, daycares and more. 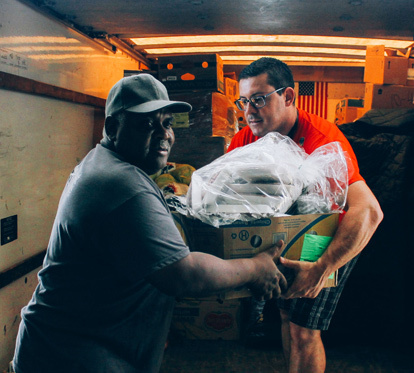 Our network of partners help us distribute food to six counties in Central Florida, including: Brevard, Lake, Orange, Osceola, Seminole and Volusia county. Learn more. A mobile drop is a unique and effective approach to distributing food in underserved communities by providing fresh produce and other nutritious food directly to feeding programs in Central Florida. Learn more. Table Sixty is an alliance of community leaders and visionary advocates committed to alleviating senior hunger through compassionate, collaborative and creative solutions. 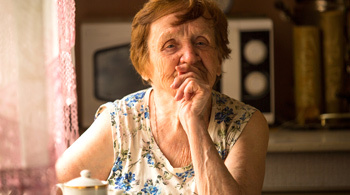 Table Sixty has completed several pilot projects to identify best practices for increasing access to healthy, nutritious meals for seniors. Learn more. 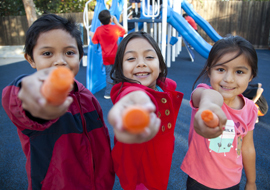 We partner with Universal Orlando and the Universal Orlando Foundation to provide nutritious food through the “Bites, Camera, Action!” program. 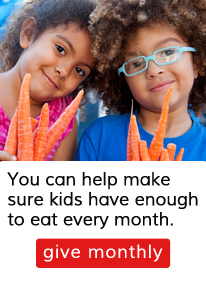 This mobile program provides food to local elementary and middle schools as well as 103 community sites. Learn more. If you are interested in sponsoring or becoming a community partner for any of our programs above, please visit the program page and contact the appropriate program manager. Thank you for your support.